JADCO Viper Tools are designed to provide maximum production and optimal tool holder protection against abrasive surfaces. Viper Tools have improved rotation to minimize carbide tip waste due to uneven wear in the field. JADCO’s carbide tip is enhanced for better penetration, and a longer lasting life. JADCO offers a Viper Tool for both Road Milling and Full-Depth Reclamation applications. Our Viper Milling Tool provides a consistent milling pattern to keep you running smoothly, and for a longer duration of time. JADCO’s Viper Reclamation Tool offers optimal protection with its larger body, to keep your tool holders intact, and reduce downtime. Regardless of the surface or application that you may face in the field, JADCO Viper Tools have you covered. 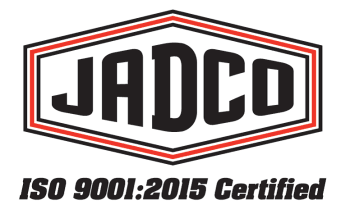 Learn how JADCO Viper Tools can solve your Road Milling and Reclamation wear challenges.